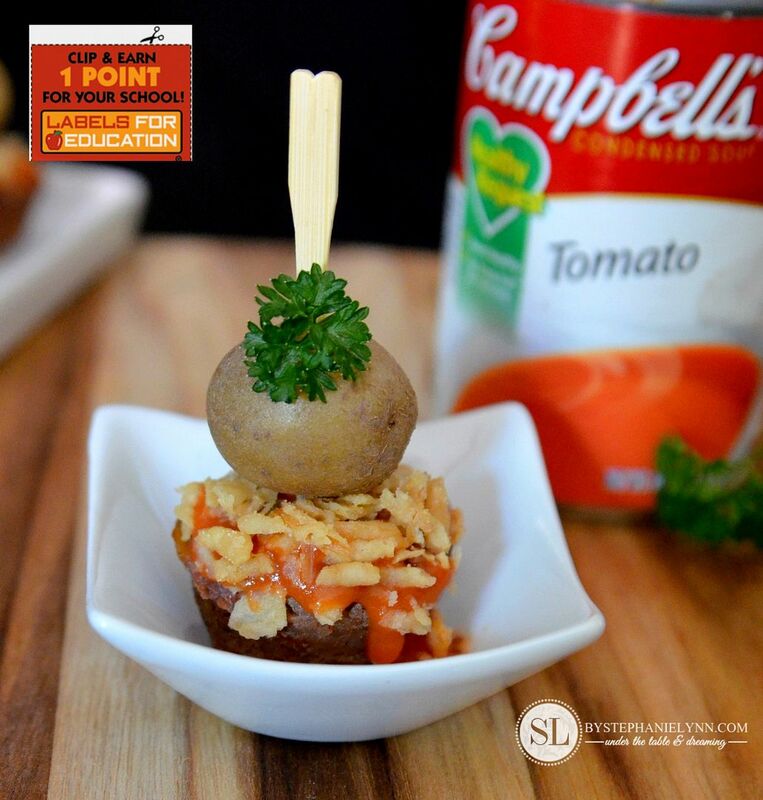 Onion Crusted Meatloaf and Potato Bites – Campbell’s Labels for Education #Labels4Edu #cbias | This shop is sponsored by #CollectiveBias and it’s advertiser. The story and opinions read here are entirely my own. 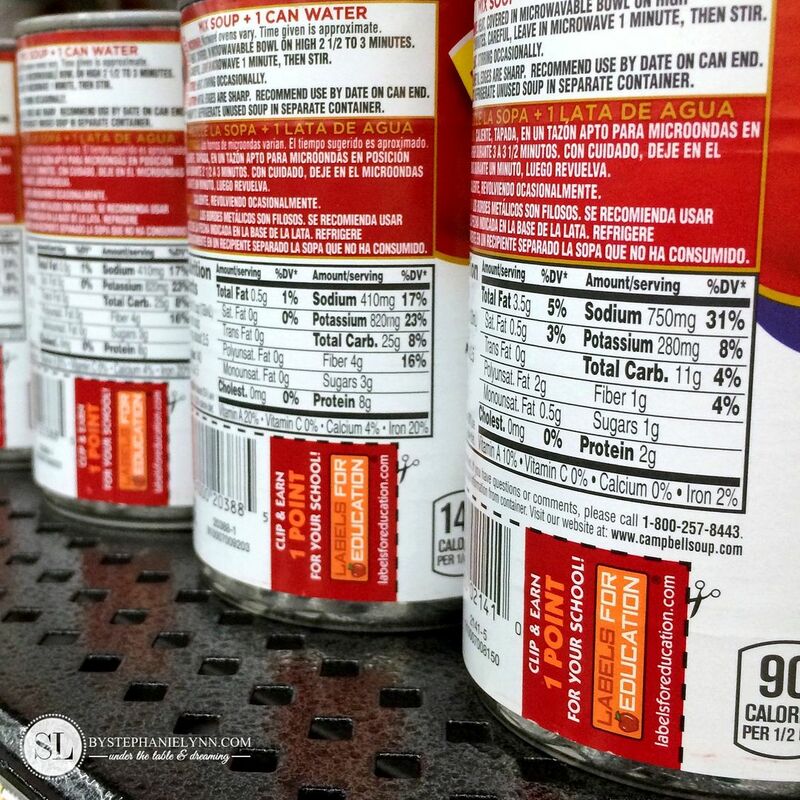 As the new school year rolls around, it’s time once again to start turning in those product labels. We have been collecting UPC labels for the past couple of years now as a simple way to give back and help our favorite local homeschool organization. The Labels for Education program is a fund raising program earning public and private schools, as well as homeschool and preschool organizations, an array of free educational merchandise. From soup, cereal, and snacks to dairy products, beverages, & school supplies, there are over 2,500 items that can earn points for your school organization. 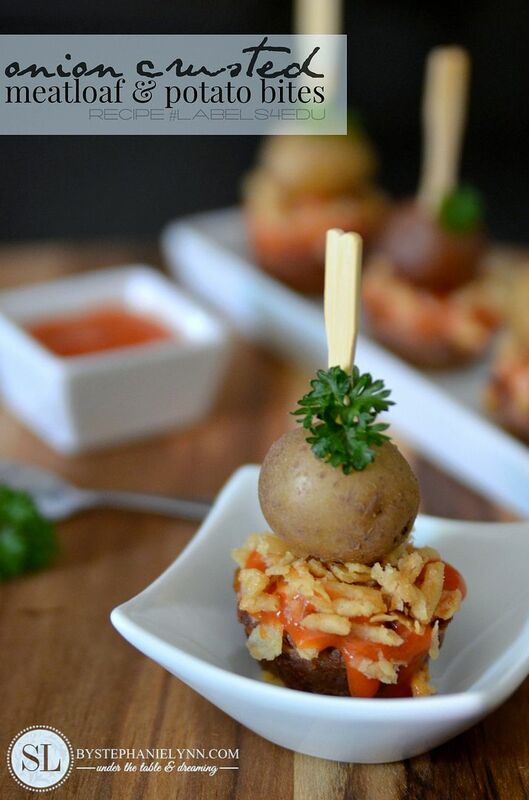 Products you may already have stocked in your pantry and those you may even use everyday – like those included in this Onion Crusted Meatloaf and Potato Bites recipe being shared today. These bites were inspired from a meatloaf recipe from Campbell’s Kitchen. I am a big fan of portioning out any dish into individual, bite size servings – even Butch’s favorite, traditional meat and potato kind of meals. The bite size treats not only make great party appetizers but can add some fun to everyday meals as well. 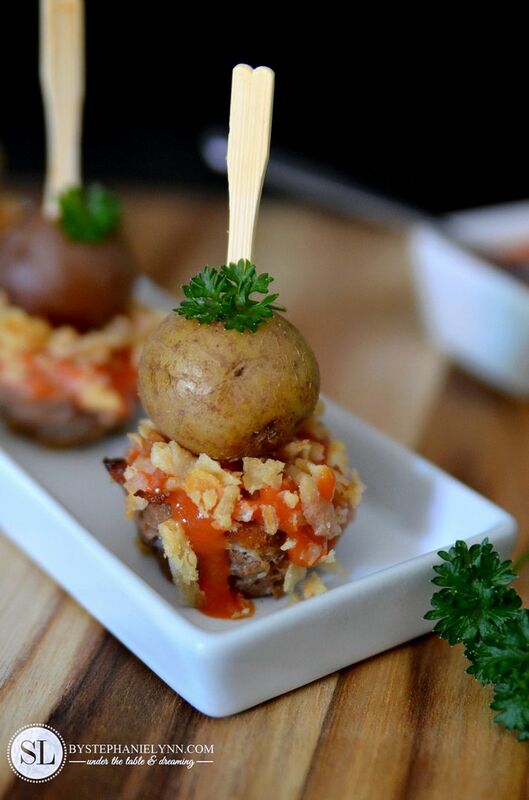 For this dish I couldn’t resist the cuteness of making mini meatloaf cupcakes – perfectly sized to stack a baby potato upon. In a large bowl mix together the ground beef with ½ of the tomato soup and ½ of the fried onions. Add in the grated carrot, egg, worcestershire sauce and spices, and mix well. Divide the mixture into the cupcake pan, firmly pressing into each cavity. Bake for 20-25 minutes or until the meatloaf cups are cooked through. Let sit for 5 minutes in pan prior to removing. While the cups are baking, prepare the baby potatoes. These can be boiled on the stove top or roasted in the oven. To boil - fill a small saucepan with water and add in the potatoes. Bring them to a boil on the stovetop and continue boiling until the potatoes are fork tender, about 15-20 minutes. To roast - preheat the oven to 400°. Place potatoes on a baking pan on the center rack of the oven and roast 20 minutes, until just tender. Season as desired. To assemble, top each mini meatloaf cup with a teaspoon of the remaining tomato soup and sprinkle with some crushed fried onions. 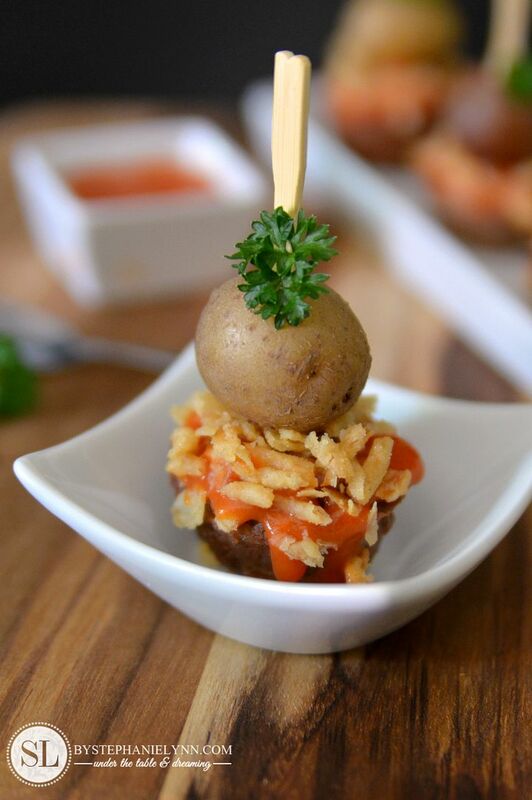 Use a wooden toothpick to secure the baby potato on top. Be sure to use a nice lean ground beef for the meatloaf mixture. The beef will shrink when cooked so firmly pack the cupcake cavities so the meat will hold its shape. Meatloaf mixture makes approximately 48 miniature cups. A larger sized cupcake pan can also be used. For a complete list of participating products and information to get your local school organizations involved visit Labels for Education. Helping your school earn free materials is as easy as clipping these little UPC codes. I’m always surprised how many points we actually rack up during a quick trip to Walmart – without really even realizing it. Right now you could help your school earn even more with the Label’s for Education Sweepstakes where 1000 schools will win $1000. Additional information for that contest and rules for entry can be found here. Plus don’t forget to print out these special offers and coupons on participating Labels for Education brands.